The process of payment can be confusing for patients and can become a barrier to case acceptance. With this revised brochure, you can position yourself as an ally in their quest for dental health. 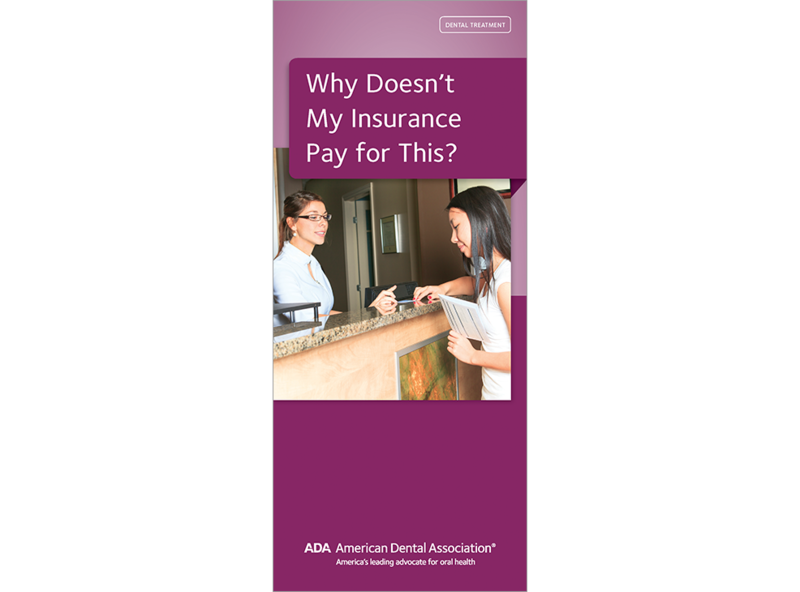 Written in patient-friendly terms, this dental insurance brochure explains how dental benefit plans work and the role of your dental office when working with insurance providers. It emphasizes that coverage is based on how much your patient’s employer pays into the plan and not based on what they need or what you recommend. The brochure also explains that treatment decisions should be based on what’s best for your patient’s health and not just what is covered by their plan. This patient education resource will help your patients better prioritize their dental health while positioning you as their partner in this goal. Order your copies of “Why Doesn’t My Insurance Pay for This?” today!